The owner of a factory in Wilmington, North Carolina that makes fuel for nuclear power reactors notified the NRC by phone on April 23, 2008, and by letter on May 23, 2008, about a safety problem. Workers had taken a 35-quart mop bucket into one of the fuel manufacturing areas for some cleaning. Their action violated the company’s procedures that limited mop buckets to 12 quarts or less. There was no fuel in the area at the time, but the mop bucket size limit was still in place. The limit wasn’t established by the company to control costs, even though 12-quart mop buckets are cheaper than 35-quart mop buckets. The limit wasn’t established by the labor union to employ more workers using smaller buckets. The limit was established to protect against an unplanned and unwanted nuclear chain reaction. This factory made fuel for the cores of nuclear power reactors. Too much of the raw fuel in the same place creates the critical mass necessary to sustain a nuclear chain reaction. When a fuel atom splits apart, energy and neutrons are released. If those neutrons interact with other fuel atoms, they can cause them to split, too. When the neutrons sustain the splitting of atoms, a nuclear chain reaction occurs. Nuclear power plants are designed to handle the energy released by splitting atoms and have emergency systems to rapidly terminate the nuclear chain reaction when things get out of control. Fuel factories lack these systems, so it is imperative to prevent nuclear chain reactions. One barrier against nuclear chain reactions is to design and operate fuel factories using equipment and processes that make it close to impossible to assemble a critical mass of fuel material. One of many scenarios that must be protected against (unfortunately, through trial and error of experience) involves the undetected leak of enriched fuel material onto the floor. Workers cleaning the room after the fuel processing line is turned off may sweep or mop the floor into a bucket or drain. 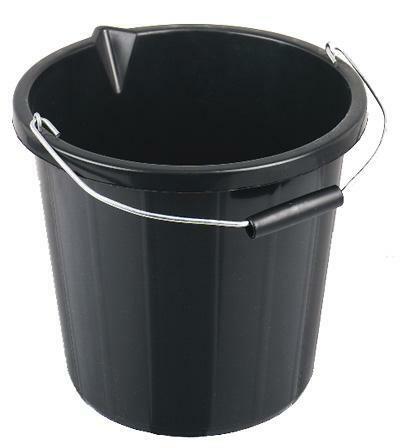 To guard against inadvertent criticality, the size of the bucket and the design of the drain must ensure that a critical mass cannot be assembled. The raw fuel being conveyed through the Wilmington factory cannot achieve a critical mass when filling a 12-quart bucket, but could – under certain conditions – reach a critical mass within a 35-quart bucket. Thus, limiting the size of buckets taken into fuel manufacturing areas of the factory is one of many barriers against nuclear chain reactions. Other than “big bucket bad,” this event really demonstrates a strong safety practice in the nuclear industry. The thresholds for reporting problems are low. In this case, a safety violation was identified and reported even though it did not cause a nuclear chain reaction and, with no fuel present in the area, was very unlikely to cause one. The “no excuses” approach to this safety precaution is warranted because the large bucket could have been left behind in the area when fuel manufacturing resumed and because, left unchecked, could condition workers to become lax about safety requirements. But this incident shows an aggressive stance on nuclear safety. The violation of a protective measure against unwanted nuclear chain reactions was identified and reported to the NRC. This process requires steps to be taken at the Wilmington facility to better guard against such violations in the future. In addition, the reporting process shares this problem with owners of other fuel factories allowing them to also benefit from the upgrades. The low threshold for reporting problems results in a large number of reports. Better still, it results in an even larger number of fixes.